As the weather turns and the seasons change, we wanted to share three driving safety tips to help keep you safe that we gathered from various articles online. Prepare for More Driving in the Dark – Once the daylight savings time hits in the Fall, many people often find themselves driving I the dark both before and after work. As a result, ensure your vehicle lights are all operating at peak efficiency and, when setting out, allow your eyes several minutes to adjust to the lower light level. Beware of the Glare – Glare is actually much worse in the Fall and Winter months because the sun in lower in the sky. When the sun is low in the sky, it can create a blinding effect. There are several things you can do to manage glare that include having a quality window tint installed, keeping your windows clean and avoiding traveling near sunrise or sunset if possible. Pay Attention to the Road Surface – In many areas of the country, Fall is a time when damp weather and falling leaves go hand and hand. While the changing leaves are often beautiful to look at, they can create a hazard on the roadways. When you attempt to brake or steer on damp, fallen leaves, it can have a similar effect to your vehicle being on an icy roadway. As a result, it is always a good idea to add caution when driving on roadways covered with leaves. We hope that these three driving safety tips help keep you safe as we transition through Fall and into Winter. 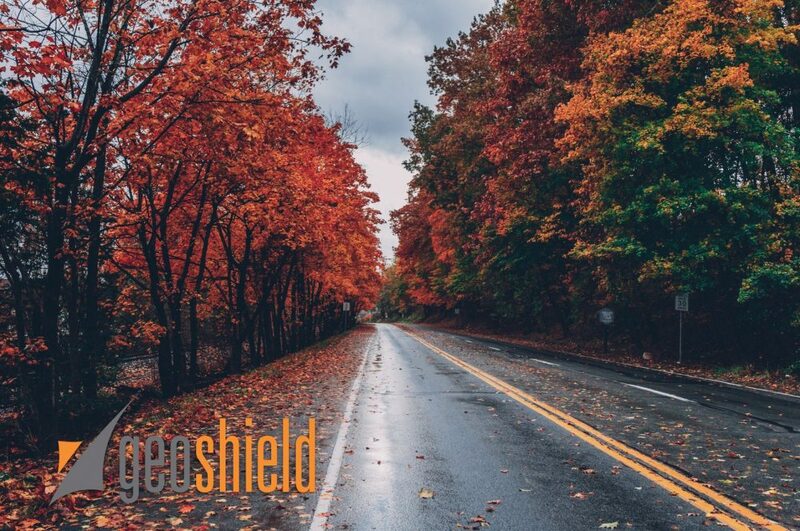 If you have any questions about the automotive window films we offer at Geoshield to help with the glare reduction part of what you read above, you can call us at 1-800-234-6133. We would be happy to answer any questions and provide you the contact information for a local Geoshield installer in your area. You can also visit our dealer locator by clicking HERE to find a Geoshield Window Film Authorized Installer in your area.